Over the years, numerous studies have been done on the effects of refined carbohydrates your health. To make it worse, such foods are extremely pervasive on the market today. Candy, cookies, and chips are probably the most popular comfort or “cheat” foods that I know of. However, though refined carbs will give you a quick thrill, they have been linked to a lot of negative effects. These include overeating, weight gain, and an increased risk of diabetes, high blood pressure, and heart disease. This is all common knowledge, but it does not make it any easier for many to cut out processed carbs from their diet. Why could this be? There is a reason why it is so hard to give up those sweet or fatty foods. Research has shown that processed foods can be linked to problematic, addictive-type eating habits. This means that eating this type of food causes your body to start craving even more of it. Furthermore, processed carbs do nothing to help you feel full and satiated after a meal. They are packed with calories but lack the nutritious elements that food is supposed to give you. These include protein, healthy fats, and fiber. You will then find yourself overeating as a result because your body still looking for food to fulfill its needs. The result? You get stuck in a vicious cycle of hunger, overeating and an ever expanding waistline. Eliminating refined foods from your diet can lead to a lot of positive effects, especially if you are trying to lose weight. 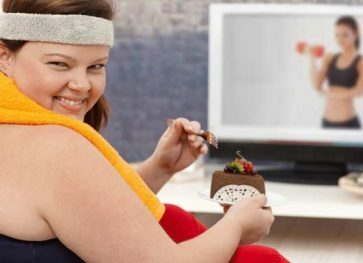 Your body will start burning more fat, you will feel more satiated and energized, and you will reduce your risk of serious health complications. Sweetened drinks contain very high amounts of refined sugar. For instance, a typical 12-ounce can of soda has approximately 30 grams of “bad” carbohydrates. Needless to say, these kinds of beverages are extremely unhealthy. They have been linked numerous times to obesity, diabetes, and insulin resistance. Instead, make unsweetened drinks a bigger part of your diet. You can use organic options like lemon to add an extra kick to a beverage if you like. Despite being a regular feature on a lot of diets, bread is not a very healthy food option. It is rich in processed carbs but contains very little fiber. Of particular concern is white bread. This is because it uses wheat that has been made from excessively refined grain. Even healthier options such as rye bread are not nutritious enough; each slice carries an estimated 15 grams of carbohydrates. Bread in general also contains just a little fiber, making it quite hard to digest and be absorbed by the body. Giving up bread completely can be a difficult prospect though. Instead, try pairing it with better breakfast and snack alternatives. These include granola, mixed nuts, and eggs. Trying to lose weight while using sweeteners is counterproductive. Today, any sugar that is available in stores is highly refined and stripped of its natural, nutritious elements. 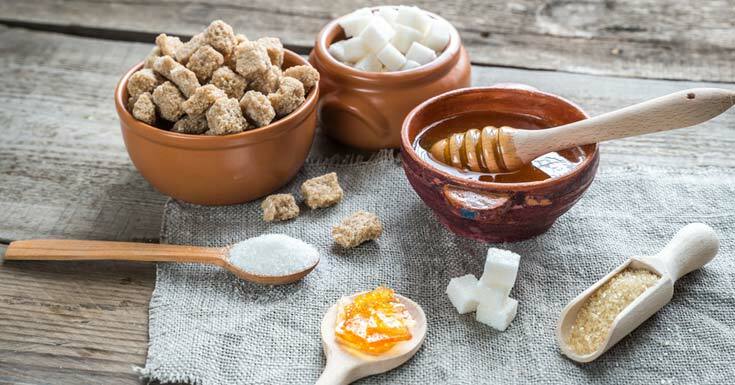 A single spoonful of brown or white sugar can contain up to 12 grams of carbs. Many people have turned to honey as a healthier alternative. However, it has even higher carbohydrate content at 17 grams per tablespoon. The best alternative would be learning to enjoy food in its natural, unsweetened state. But this can prove to be too difficult for many people, myself included. In that case, you can use small amounts of low-calorie sweeteners in your coffee or cereal. Wheat is the main ingredient in baked goods such as bread and cookies. It is also regularly used in many other recipes that involve sauting, frying or baking. Unfortunately, it is very high in refined carbohydrates and calories. Whole wheat flour has been identified as a great alternative, mainly because it contains more fiber. However, it also contains a lot of carbs and is quite unhealthy. The best option for you may be low-carb flours like those made from coconut or nuts. For instance, almond flour has only 11 grams of digestible carbohydrates per 100 grams. The only disadvantage is that they do not contain gluten, which can alter the texture of foods. These types of flour can be used in recipes for soft baked foods like pancakes and muffins. 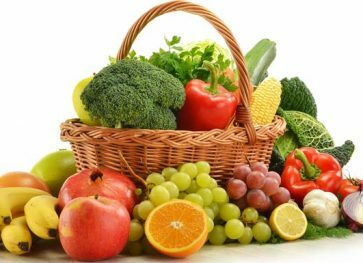 Vegetables provide you with both fiber and essential nutrients. 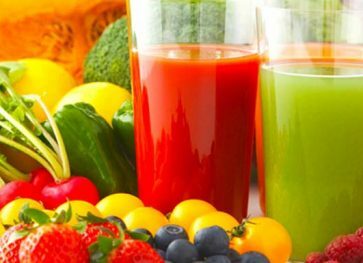 They contain a great lot of plant compounds known as phytochemicals that are strong antioxidants and help boost your immune system too. Diets rich in vegetables have been linked with reduced risk and incidences of disease. That said, it is important to focus on vegetables that do not contain any starch to help decrease your calorie intake. Avoid legumes and roots such as sweet potatoes, beets, carrots, corn, lima beans, and potatoes. The nutritional benefits of milk are numerous and well documented. However, it also contains a high concentration of carbs known as lactose. This can significantly increase your carbohydrate intake. Adding a splash of milk in tea or coffee every day is not a problem. However, a better option would be to substitute regular milk with healthier alternatives such as almond milk. Protein-rich diets are particularly beneficial if you are trying to lose weight. Protein stimulates the release of a hormone that makes you feel satiated for longer periods of time. 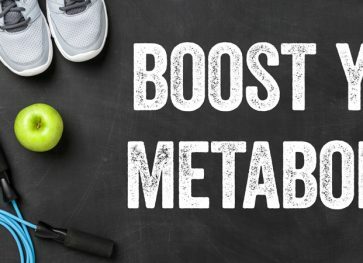 It also protects and builds up muscle, helps reduce cravings, and reduces cravings. More importantly for weight loss, protein helps to increase your body’s metabolic rate. 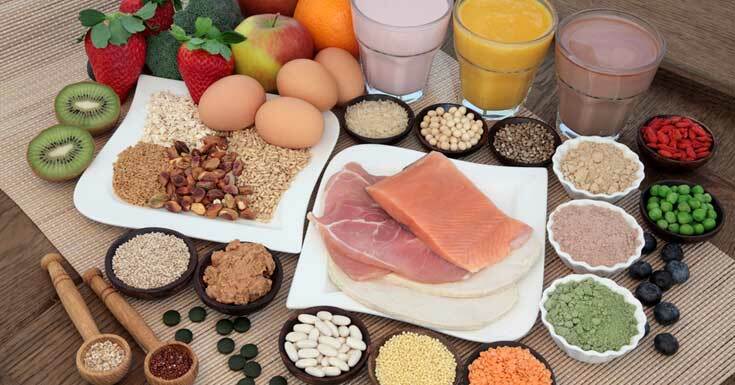 Great sources of protein to incorporate into your diet include meat, fish, poultry, nuts, yogurt, and plant proteins. The type of fat you use to prepare food can make up to 50 percent or more of the calories on any diet. This makes it essential to use fats that not only add flavor to your food but are also healthy for you. The best alternatives available today are extra virgin olive oil and virgin coconut oil. Olive oil has been linked to faster weight loss, improved weight management, and lower blood pressure. Similarly, coconut oil is rich in MCTs, or medium chain triglycerides. Studies have shown that MCTs can reduce fats stored around the stomach and waist, as well as raise the level of HDL or “good” cholesterol. Reading food labels is an important practice to adopt. They are very helpful in showing you all the nutritional facts for packaged food items. This way, you can easily know which foods you can consume based on the carbohydrate content indicated on the label. Eating out can be a major challenge when you are trying to reduce your carbohydrate intake. A great example is the bread basket many restaurants serve as you wait for your food. Also, whatever healthy food option you order will often come with a side of starch like pasta or potatoes. This can add up to 30 grams of carbohydrates to your meal. However, it is possible to request your server to substitute these items with low-carb, non-starchy veggies. 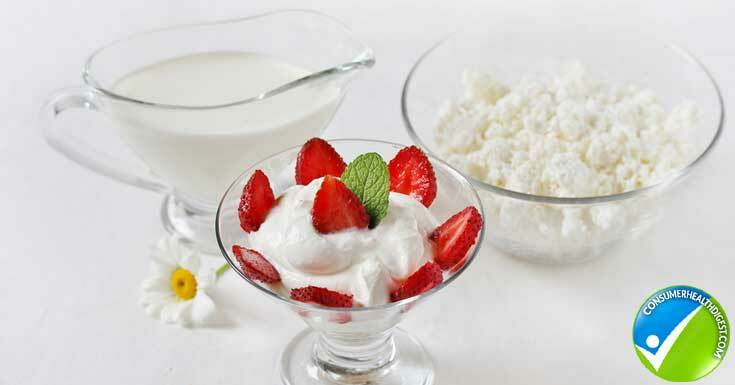 Dairy products like yogurt, pudding or cheeses can be a great addition to any healthy diet. However, stay away from sweetened options that are packed with sugar. Cheese and Greek yogurt are healthier alternatives. Nutrition trackers are mobile or online apps that help you keep track of what you eat every day. These tools automatically calculate the carbs and nutrients consumed at every meal in the day. Using a nutrition tracker is an effective way to stay on target and within your weight loss targets. Eliminating refined carbs from your diet can be quite taxing physically and emotionally. However, having the right tools and information can make the process much easier. Olivia writes on health and food at Everynutrient.com! 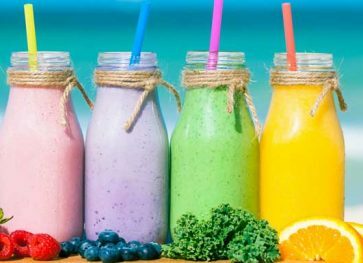 She’s written a whole bunch of articles that has to do with health and fitness foods for people from all walks of life. Her articles have been published on several health and fitness websites. Every Nutrient focuses on effective changes that you can make to live a healthy and fulfilled life! Find her on Twitter and Facebook.